At 20:27 I received a phone call from Vidya Venkatesh saying, “Do not come to Shahdol. 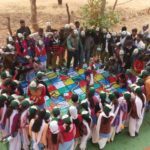 (Shahdol – where a program of community engagement to help reduce Human-Wildlife interactions was in the initial stages). 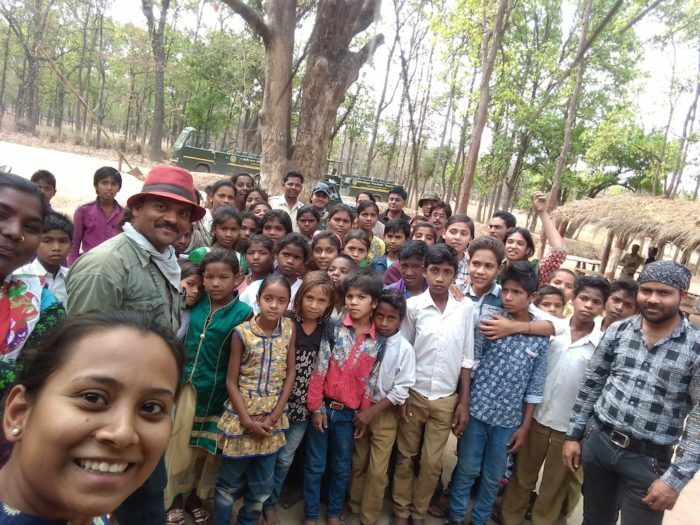 Please leave for Bandhavgarh from Jabalpur tomorrow and meet Bhavna Menon and kids at the Magadhi gate directly.” (where the Village Kids’ Awareness Programme was taking place). I was looking forward to learn new things about conflict management, but was even more excited to meet the village kids). Yayy! 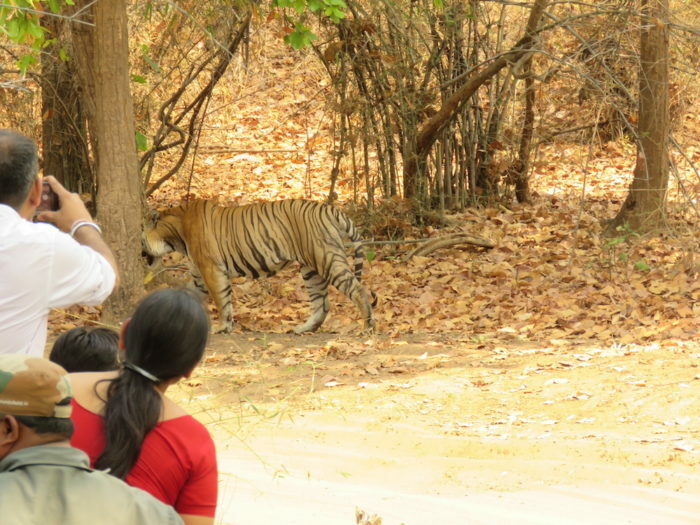 My excitement and curiosity at meeting the kids in the land of tigers was at an all-time high. 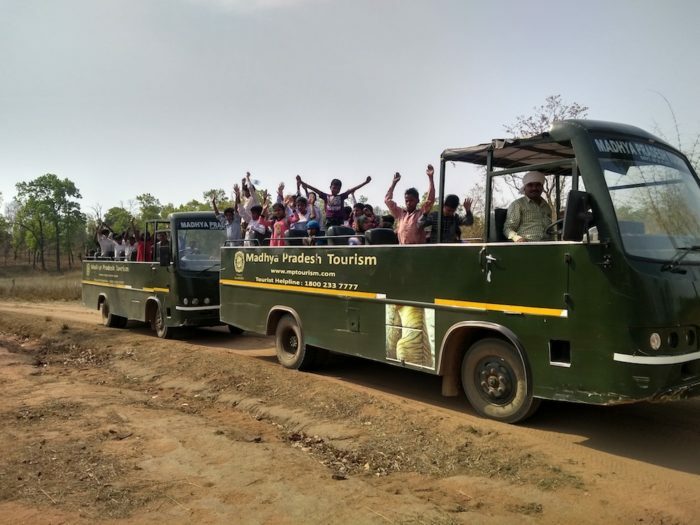 Last Wilderness Foundation (http://thelastwilderness.org/in) in collaboration with the Madhya Pradesh Forest Department has started a programme wherein, students from the villages situated in buffer zone of the reserve are taken for a safari in the forest. The crux of the programme is if the younger generation does not see the forest, then how will they understand the importance of it? 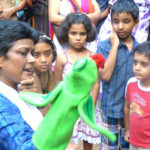 The aim of the programme is just that simple- to let kids to observe the forest- their own forest!! How cool is that! 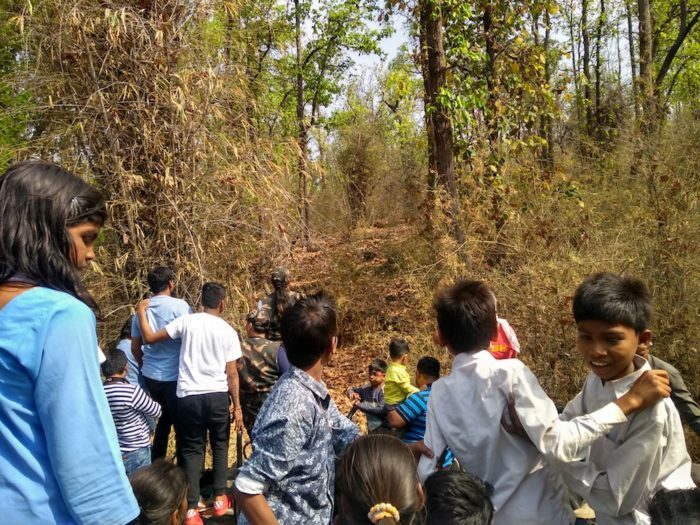 At the Magadhi gate, I was so happy to see so many super excited kids to explore the forest brought together by Last Wilderness Foundation’s team from their villages viz. Chechariya, Sakariya and Raipur. 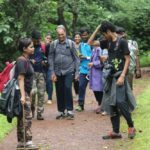 We all were so happy to see Jackals, Wild boars, Chital, Sambar, Langur, Mongoose, Peacocks, Grey hornbills and Chinkara. 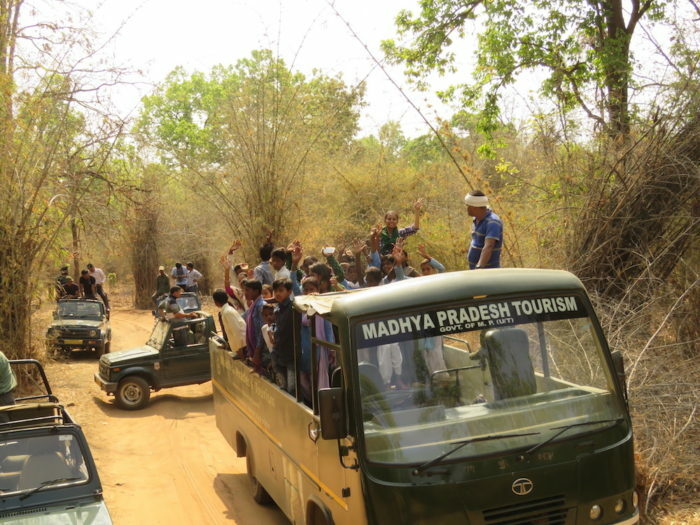 Like me, for the kids also, this was their maiden trip to Bandhavgarh tiger reserve. 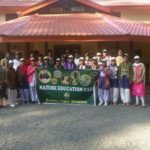 After the safari, we all proceeded to the Bagdari Zilha Parishad School which eventually was our field base. 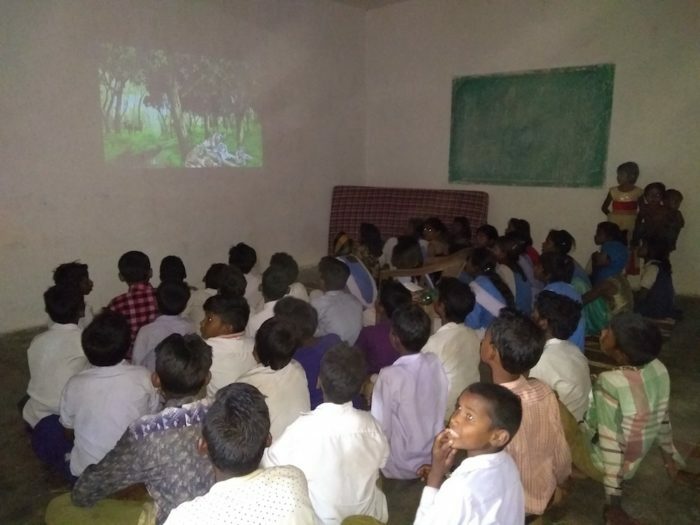 At the school, the Last Wilderness Foundation team screened a movie on tigers, titled – ‘The Truth About Tigers’. 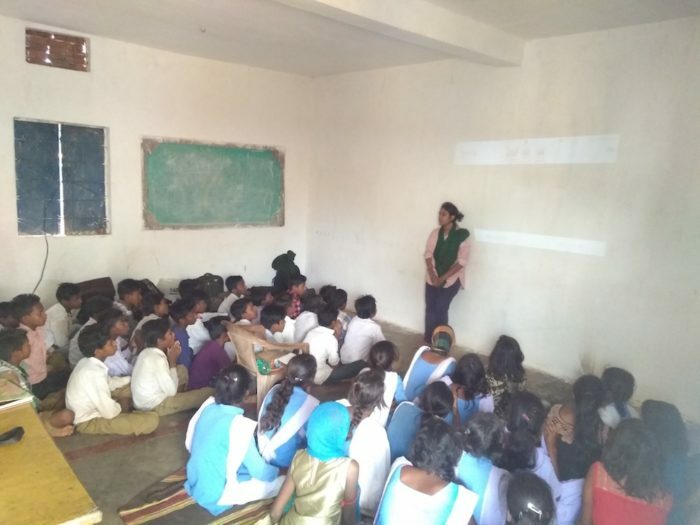 The team then interacted with them on how they have potential to create awareness among people in their own community, by sharing important information with their family members. 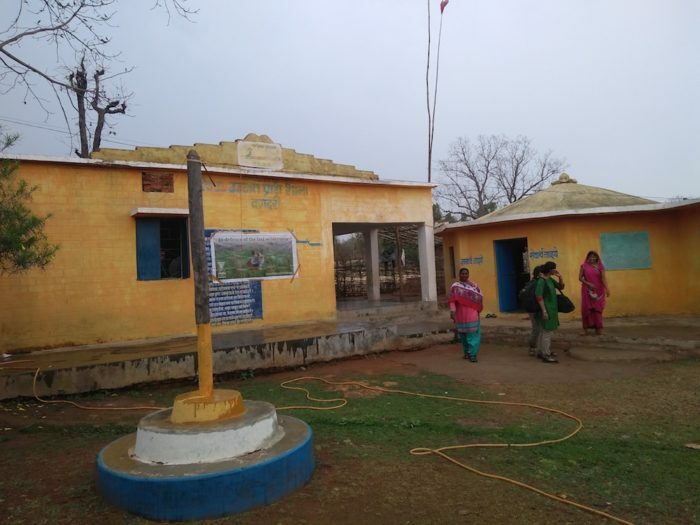 Such interactions also involve school teachers, students, parents and people at the village level. 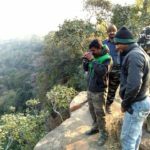 On one of the days during the programme, there were two rather fortunate tigers – Bamera’s son and Mahaman male (Mamu) which were sighted by these super curious kids who are their future guardians, with no big camera lenses but with just the pure joy in their hearts of seeing them.) 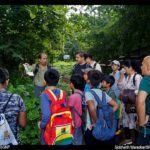 I enjoyed the moment and realized that the satisfaction is lot more in showing tigers or forest to kids rather than watching/ observing it personally. The kids were also happy to see peacocks and Indian rollers apart from seeing the tigers. 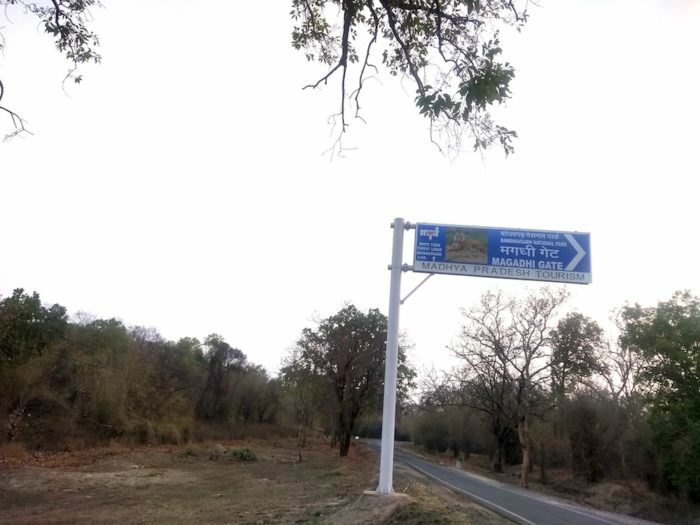 While going back, one of the girls spontaneously said, “The Forest is so beautiful!” (जंगल बहुत सुंदर है) I was thrilled to see their expressions, about how amazed they were by seeing the forest, watching the predators, prey and listening to the chorus of the forest. I would like to conclude by saying that these are the youth who can understand the forest more and protect it by generating some community engagement opportunities. Conservation is not one person’s effort. The efforts would sustain when everyone will work towards the goal. 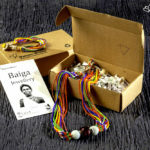 Mrunal is passionate about working with communities	and	enjoys being	with	them. 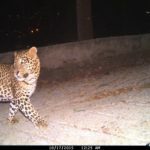 She is interested in the field of community-based conservation,	conservation education,	and human-wildlife	interactions. Currently, she	is working with the Wildlife Conservation Society-India as the Awareness	and Outreach coordinator.